Dominique Delteil selected ICV-D21 from a Languedoc terroir known for producing wines with stable color, intense fore-mouth, mid-palate tannin structure, and a fresh aftertaste. Unlike most wine yeasts, ICV-D21 both contributes polysaccharides and retains higher acidity, which can be useful when working with warm-climate fruit. These attributes also inhibit the development of cooked jam and burning-alcohol sensations in highly mature and concentrated Cabernet Sauvignon, Merlot and Syrah. 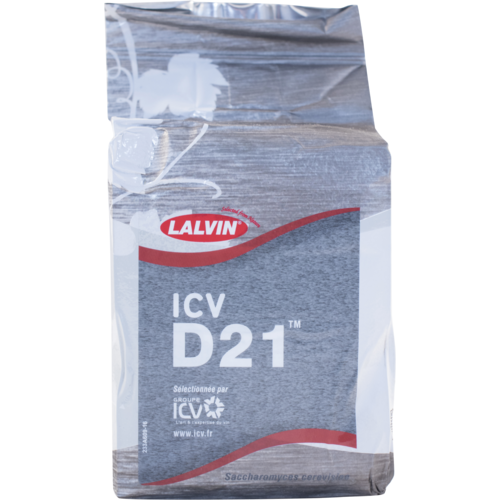 During fermentation, ICV-D21 produces very few sulfide compounds even at warmer temperatures, which allows the expression of the fruit to remain fresh while reducing the potential for herbaceous characters developing in the wine. This could be useful in situations where temperature control may be less than ideal. When combined with wines fermented with various yeast chosen for their structure and complexity (ex: ICV-D254 and ICVD80), wines fermented with ICV-D21 excel at being able to bring bright, fresh-fruit back to a blend and serve as a great "focusing element". D-21 serves in this capacity for both reds and whites. We have used this yeast as part of our own Cabernet Sauvignon program and have been really happy with it. Best results from 55 to 90 degrees F, with an alcohol tolerance to 16%. I like the brand, and it gets good ratings. 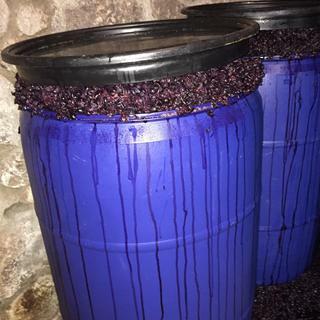 I like the fermentation rate and the flavors that I get from it, especially for Cabernet Sauvignon. Good for warm-climate grapes. In AZ. D21 produces clear, bright fruit with floral overtones. Have used the last three batches with good results. This was substituted for ICVD80. I used this in an all juice blueberry wine and mead. Very good yeast. 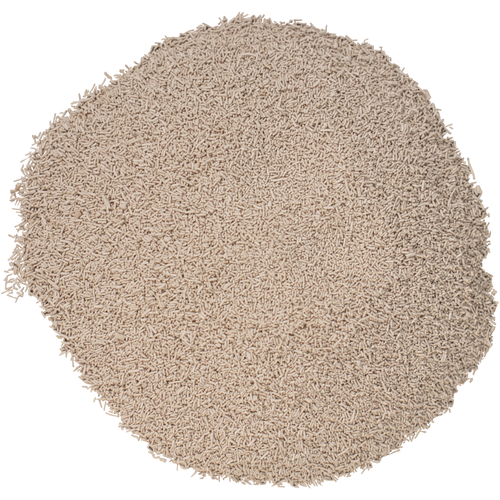 Great yeast for mead, especially if you lack temperature control. If I feel that my wine has everything, in the right amounts, in the grapes I started with, then I hope to use a wine that will express just that. I like to choose D 21 to say what the grapes are already saying and not try to lay in another layer of content. And if I do wish from the get-go to do a blend, I may well use it for fermenting to that end point as well. This yeast worked well for my project. It activated quickly when started dry and gabe me the alcohol content I wanted. I will use it again. I have used this strain for 3 years in a row now, and it had always been perfect. I have used it for Cab S and Merlot grapes coming from CA, and after trying a few others I have finally stick to ICV-D21. My only problem is that it cost me more in shipping than the yeast price, and it's produced in my city! The yeast that has been attributed to have been used by Brother Adam of Belfast Abbey, it has not been widely available for some time except here at MoreWine! 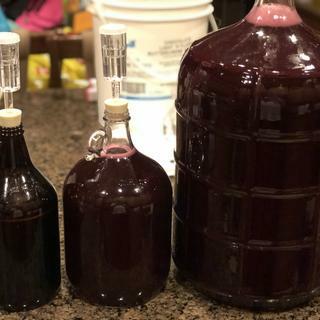 I used a starter for a 12 gallon batch of melomel (mead) with fruit and fruit juices about 35 hours before pitching into a must at SG 1.095 with added nutrients. Incredibly, the SG dropped to 1.007 within about 5 days. There was residual bitterness, perhaps from the pineapple juice, which was the major component of this batch. Have also used it in other recipes that resulted in more typical fermentation times ranging from 15 days to 28 days. It is also good in 'traditional' meads of just honey, water, and yeast.